Oil is the lifeline of any modern society. For years we have built our society on the false notion that Petroleum is an infinitely abundant resource. Some might argue that our dependence on oil has had a detrimental effect on everything from our foreign policy to the environment. Having said that I came across an interesting story – while Detroit depleted their billions on developing trucks that would, in retrospect, achieve the ostentatious goal of building bigger engines for urban vehicles, Brazil spent its research on achieving 100% fuel independence. The secret to their miracle was E85, which is 85% percent alcohol distilled from corn or sugarcane and 15 percent gasoline. Brazil announced that starting 2007, they would not need to import a single drop of petroleum. They will be able to meet a majority of their petroleum needs from renewable Bio Diesel, supplemented with a relatively small amount oil of that excavated locally. This is a great feat for a country the size of Brazil considering that it has a rapidly growing economy and the largest population of any South American country. This has immense implications for Brazil’s economy. Its growth will no longer be tethered by OPEC regulated pricing. Oil prices are in a flux due to a number of reasons – Instability in the Middle East, the rising cost of excavation, an ever increasing demand for Petroleum from the newly industrialized world i.e. 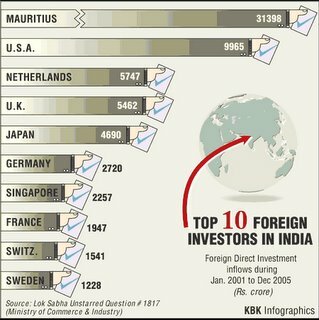 India and China. Independence from Foreign Oil means that Brazil will be able to hedge against these rising concerns, insulating its economy against a sizeable risk, and in turn attracting foreign investors who see this as a potential haven. Every socially responsible country must take positive steps in this direction to negate the influence of fluctuating foreign oil prices, secure a stable future, and chart a sustainable path forward. America has seen spectacular growth in the last 100 years due to its ingenuity and the entrepreneur spirit. This phenomenal grown has largely been fuelled by an influx of much needed immigrant population at various points in time. From the tired and prosecuted to the hungry and penniless of the world – America has been a refuge for immigrants and is built on the endearing spirit of hope. 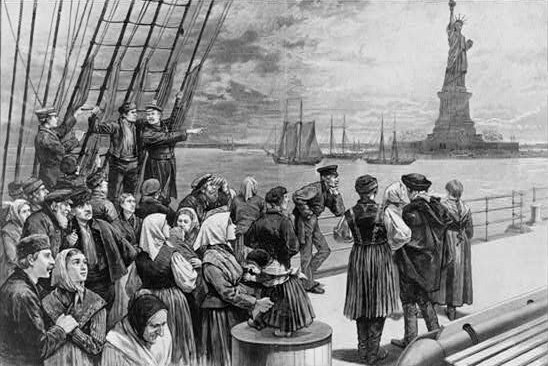 Migrant populations flourished in the new land ever since Christopher Columbus set foot on the Plymouth Rock. Ever since then, any new wave of immigrants is welcomed with a dissenting skepticism. The Italians, Irish, Eastern Europeans, Germanic Mormons and now Mexicans and Latina’s were always dragged into the immigration debate. The Latin population is different though – they have shown be resilient when it comes to shedding their Latina heritage and “adopt” the classical American identity. This begs the question – Is being American an expression of homogeneous acculturation or is it an embracement of a spirit and a set of common values. The immigrant populations have different customs and ethnicities but share in the American dream. They bring to this country a strong work ethic and an endearing spirit that has helped revitalize our nation. Some of our greatest sons and daughters were immigrants or 2nd generation migrants carrying forward a strong ethos. America is truly the world’s first world’s first true global society – it would be a sad day when we ask migrants to check in their identity at the door and adapt an insipid commonality. This would alienate a large population of hard working migrants that are necessary to power our economic engine and that keep our society vibrant. Tax Day, April 17th 2006. This Thursday morning, I came across a commotion outside the Bill Graham auditorium in San Francisco across from the San Francisco City Hall. This auditorium is usually reserved for fashionable corporate parties and concerts, but on this windy April morning it was home to Project Homeless Connect. Gavin Newsom, the city’s energetic mayor initiated this program to improve service access to the homeless. I did some research on San Francisco’s growing homeless population and found some heartbreaking numbers. 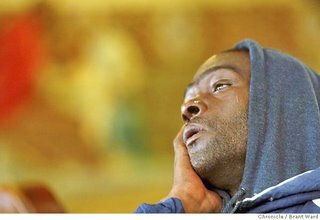 The city’s homeless population has been estimated at 7,000-10,000 people — including the mentally ill, the unemployed, travelers, drug addicts, and alcoholics. Although California has prospered as a state, the issue has been aggravated due to the deinstitutionalization of public services and a lack of adequate local service systems. On a mission to find out more, I stumbled upon an interesting story in the San Francisco Chronicle. It talks about the St. Boniface Roman Catholic Church in the Tenderloin. As morning approaches, hundreds of homeless men and women shuffle into the pews of this magnificent church for a few hours of undisturbed sleep. Many of the homeless wander the streets all nights because they fear that if they doze off –they will be assaulted, raped or have their bundles will be stolen; some are crazy, some are frail and old, and some are women who have lost everything due to abusive relationships. For many homeless individuals, institutions like the St. Boniface act as a safe zone that help them feel just a little bit more human. It is sobering to think that many of the homeless were once fairly productive individuals of our society. They narrate stories of a single stroke of bad luck, an abusive relationship or just a lack of will to live. It is a sobering thought that we may be just a few paychecks from losing everything we have. A last thought – history judges civil societies not by how well the privileged fare, but by how it treats it’s less fortunate. Perhaps no one understands this better than the volunteers at St. Boniface and Project Homeless connect. India’s romance with the silver screen began on May 3, 1913 at Bombay’s Coronation Cinema. 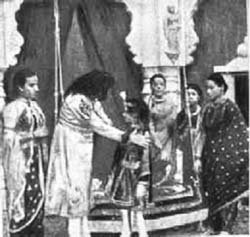 Raja Harishchandra, India’s first full-length feature film was released to the public by Dhundiraj Govind Phalke fondly known as Dadasaheb Palkhe (April 30, 1870 – February 16, 1944. Dadasaheb’s work was greatly influenced by the art of Raja Ravi Varma, the great Indian painter. Dadasaheb Palkhe, started his career as a small time photographer in the town of Godhra before he was driven away from his hometown for practicing this new art form as the camera was seen as a life snatching lens. Aggravated by his anguish, Dadasaheb went through a brief state of paranoid disillusion. This was until he met German magician Carl Hertz. 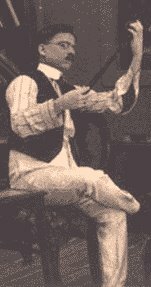 Carl was one of the 40 “magicians” employed by the Lumiere Brothers. The Lumière Brothers, Louis Jean and Auguste Marie Louis Nicholas had developed an ingenious invention, the motion picture camera. The first paying show was in Paris at the Grand Café in the Boulevard des Capucines.. Soon after, they went on tour with the cinématograph, and in 1896 visiting Bombay, London and New York. That fateful night Carl Hertz’s was presenting to an audience, brimming with Bombay’s elite, at the enchanting Watson’s Hotel and Dadasaheb Palke was present. That night the moving images had an immediate and significant influence on popular culture in Bombay. Palkhe was mesmerized by this new medium. Acknowledged as the father of Indian cinema, Phalke dedicated his life to this medium and made more than 100 films and 30 short films in a span of 25 years. From its humble beginnings, Cinema in India has become a resounding industry, with a list of glorious traditions and accomplishments. In the 93 years of its existence, Indian cinema has produced the largest number of feature films in the world (about 850 to 900 every year). More than 25 million Indians see Indian films every day. Many see Indian cinema as a significant medium to promote national unity and integration. During the period of the Indian freedom struggle, cinema inspired sentiments of nationalism en masse. This medium is arguably, the single largest disseminator of popular culture and plays a significant role as a medium of entertainment, information, education and as a catalyst of social change in India. In an inexplicable way, Dadasaheb Palke’s vision and dreams gave birth to this astonishing dream factory we call Bollywood. 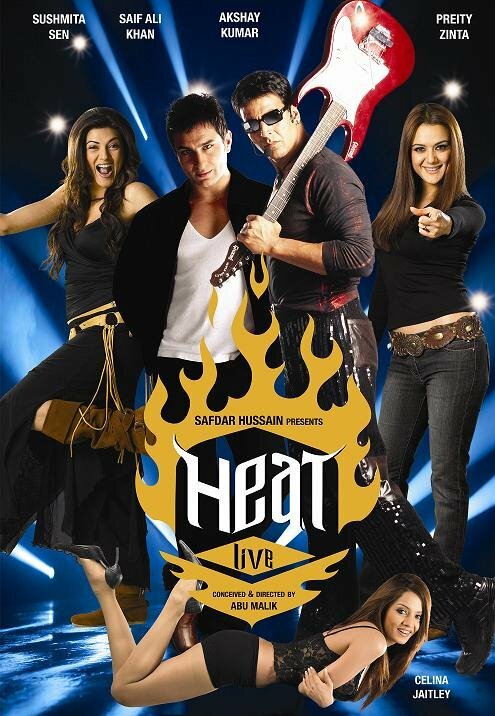 Sushmita Sen, Saif Ali Khan, Akshay Kumar, Preity Zinta and Celina Jaitley, HEAT LIVE On Saturday 8th April, 2006 at The Oakland Arena.